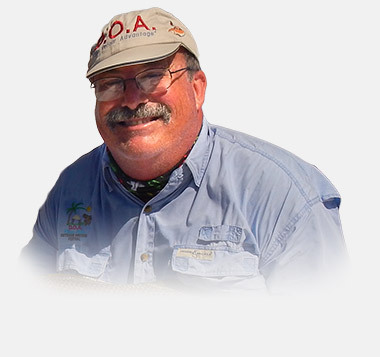 We’ve got a lot of respect for fishing guides and charter captains. As a matter of fact, some of our best friends and many of our heroes are out on the water every day… living their best lives. However, we understand that it’s not all fun and games – knowing where the fish are, maintaining equipment, putting smiles on the most challenging clients’ faces… and doing your own marketing. That’s where we come in. We have a proven methodology for growing business for fishing charters & guides through effective websites and marketing. Effectively marketing your fishing charter or guide business starts with an understanding of what parts of your current website and marketing is working… and what isn’t. We begin by evaluating your current marketing tools against benchmarks we’ve developed specifically for fishing charters and guides. Once we understand exactly where you are with your existing marketing, our creative team and strategists work with you to plan, design and develop the exact, custom website your business needs to succeed. We’re firm believers that your website is the most valuable marketing tool you have, and we’ve got a proven feature set and formula for creating fishing charter websites that shatter industry standards. To support your website, we create a baseline of essential marketing tools that every charter business needs to have in their arsenal. From a well-designed, memorable logo and business card to a content strategy consisting of fishing reports and blog posts to drive search traffic – we’ll tailor a turnkey marketing solution to your needs that keeps your calendar booked and you out on the water where you belong. Through our proven methodology, we create custom, targeted websites & essential tools that your charter business needs to drive awareness and book more clients. Thrive Creative Labs transformed my old website into a highly productive and successful marketing instrument and greatly improved my rankings online. Having a very smooth and functional website designed by Thrive has proven to be one of the best decisions and investments I’ve made in my 20 years as a guide and is highly recommended.